how long the Wii U version has been in development in comparison to the other platforms. So we can only hope that Ubisoft takes it time and doesn’t rush it just to get it out with the other systems.Don’t rush it Ubisoft! No one likes a rushed port of a game. Exceptionally if its a great game! 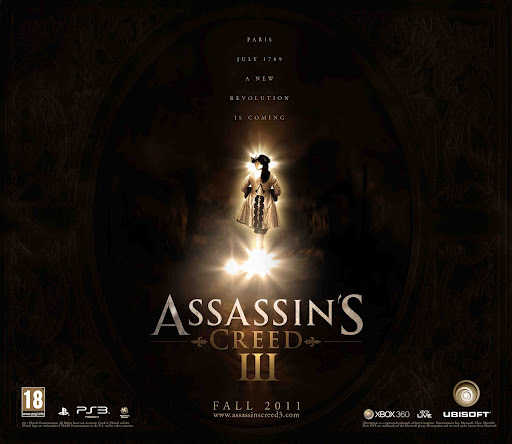 This entry was posted on 03/06/2012 by Byungsuk Kim in Nintendo and tagged American Revolution, Assassin's Creed, Assassin's Creed III, Microsoft, Nintendo, Playstation 3, Release Date, Sony, Ubisoft, Wii U, Xbox 360.